The world is embracing the cannabis lifestyle at a staggering pace, and since so many already enjoy this healthy practice, it’s worth discussing how you can further benefit from it by adjusting your diet. Every single one of us can react differently to the many ways cannabis can stimulate the body and the mind, hence the need to consider the most common effects, some of which may not be desirable, and how you can prevent them with the right supplements. Keep in mind that in case you have a health condition, whether it’s chronic or temporary, it’s best to talk to your doctor and decide together if any of these are a necessity for you, or if you could benefit from a different addition to your diet. The bottom line is that you should listen to your body and adjust your plan accordingly, so that your cannabis practice remains safe and beneficial! If you enjoy consuming cannabis sativa in particular, you are already aware of the fact that some strains can contain more THC and less CBD, which in turn means that it leads to an increased feeling of that famous “high”. That, however, is not all THC can cause, as many people experience various types of anxiety, tension, as well as paranoia from consuming the sativa plant. As healing as sativa may be for many patients, and it’s known to even have a deeply soothing effect for many, the possibility of getting paranoid is not reserved for novice users, as even avid cannabis consumers may experience it on occasion. The best way to calm your mind in case you get anxious? Chew on a couple of black peppercorns! As surprising as this may seem, it makes perfect “chemical” sense, because black pepper produces organic compounds known as terpenes, which work together with cannabis to deliver relief as opposed to anxiety. You can also opt for black pepper essential oil, and it’s enough to inhale a few times in order to help reduce the negative sativa effects. Once upon a time, we all consumed plenty of this essential mineral through our diets, but since we all live differently now, the vast majority of the population suffers from a magnesium deficiency. However, for cannabis users, the risk is slightly increased, because certain strains paired with a higher amount consumed may lead to depleted magnesium stores in your body. As a result, you may experience fatigue, irregular sleeping patterns and lower sleep quality in general, increased anxiety, sluggishness, and muscle cramps among other symptoms. The best way to make sure that your body is provided with ample amounts of this mineral is to introduce magnesium supplements into your diet. In order to pick the best type for your specific condition, make sure to check with your physician and evaluate any of those symptoms to make the best choice. If you frequently feel hazy or confused after using marijuana, you know that you are not alone. Many cannabis users have the very same issue, and long-term use has already been linked with memory loss and other cognitive issues. It seems that cannabinoids in the plant, such as THC, highly resemble the naturally occurring ones our body produces, and they are responsible for memory, thinking, coordination, and other complex processes in the brain. So, it’s no wonder your body gets confused when you keep introducing cannabinoids over a longer period of time. However, while ways to diminish and remove this negative effect are being researched, you can use a choline supplement, a vitamin B group nutrient essential for proper brain function. 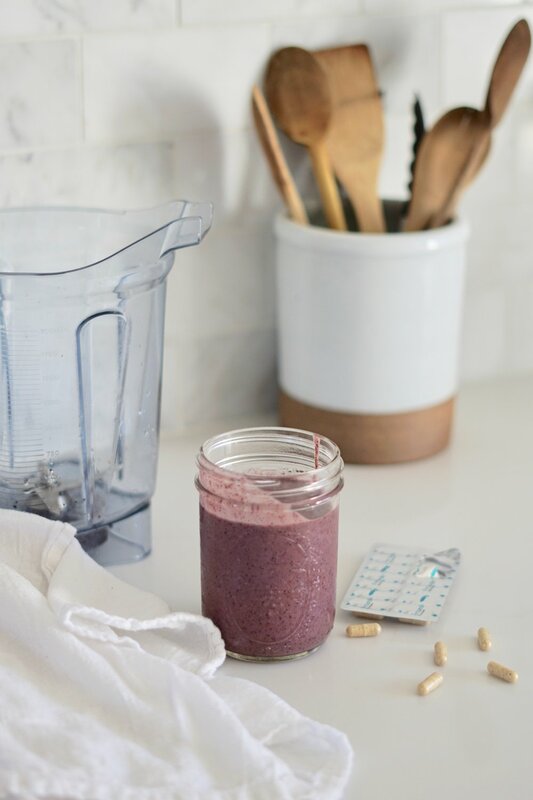 In addition to supplementing, you can make sure that your diet is filled with foods rich in this nutrient, such as eggs, chicken liver, and cruciferous veggies such as broccoli, cabbage, or cauliflower. This handy little nutrient is also good for relieving muscle cramps, so there are many benefits for adding it to your diet. The liver is your body’s main stop for filtering all the toxins from your organism, and it’s safe to say that we all consume processed goods that overwork our livers. The environmental effects alone are enough to lead to increased stress for the liver, but processing THC is another one of its very demanding jobs that can lead to further damage. This is precisely why more medical professionals recommend strains with more CBD and less THC, so that you can keep your liver safe. However, adding a milk thistle supplement to your diet can help protect your liver, as well. It comes from the plant of the same name, which is known to help reduce inflammation in your liver, protect it from the harmful effects of many toxins, and help heal any existing damage. Before you hit the pharmacy, the key is to be mindful with your cannabis practice. It can either be a hindrance or a healing tool for your lifestyle, and it all depends on how you use it. Make sure that you choose the best strains for your purpose, and monitor your body’s reactions so that you can adapt and stay healthy.